Here's a roundup of some bicycle accessories I've had my eye on. It came together quite easily as I've been dreaming of owning a bike for a while now! The majority of them are from small or independent businesses, too. 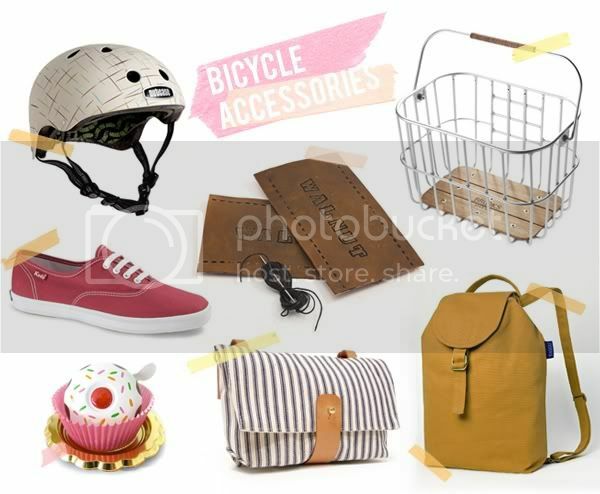 Clockwise from top left: nutcase helmet, brooks basket, baggu backpack, death and texas handlebar bag, cupcake bell, keds, monogrammed bicycle grips.